No, not in the forecast. But fans of HBO's "Game of Thrones" will be able to sit on the Iron Throne of Westeros this weekend in Boston. 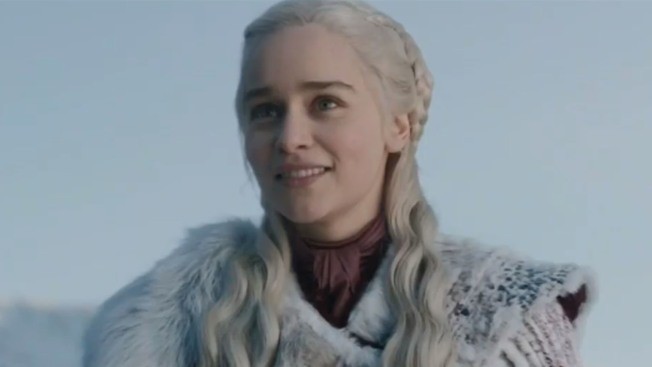 According to the Boston Globe, fans will be able to see the Iron Throne at Downtown Crossing on Friday during the day and again on Saturday from noon to 4 p.m.
Those visiting the throne are encouraged to wear GoT garb, with the chance to pose for pictures. The first 50 fans who take a photo in costume will receive a Funko Pop character. The throne is also scheduled to make an appearance at Fenway Park on Monday as part of "Game of Thrones" Night.